Finding good dark music has been increasingly difficult lately. With Disney starlets baring their bums and skeevy male singers doing what they can to hog the spotlight, there’s little spotlight to explore the underworld of beautiful Goth music. 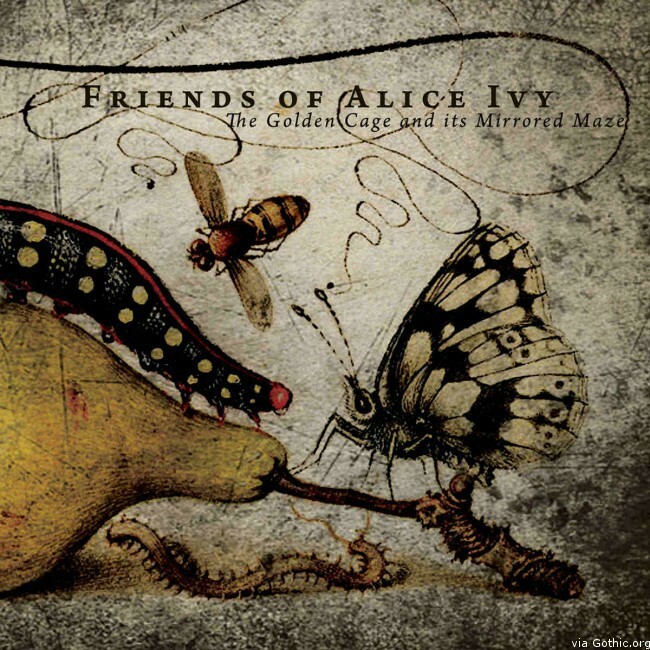 Luckily, there’s still Friends of Alice Ivy. The Golden Cage and its Mirrored Maze is their most recent release, the third since their inception in 2007. The album has been garnering praises left and right with its intoxicating, hypnotic melodies. Plus, Kylie’s haunting and soothing vocals prance around over the subtle brilliance of the looping instruments by Amps. The album features 8 tracks with the longest running just a little less than 8 minutes. Opening strong with The Aerial Mariners, it welcomes you into a beautiful ride. As if a beautiful lady is extending her hand before you, beckoning you to explore and sail away into the skies. It is gentle as it is captivating. Meanwhile, tracks like Miranda, show off the duo’s capacity to enchant its listeners. It’s a personal favourite as it seems to be the kind of track you’d expect The Lady from the Lake would sing. The Golden Age…closes off with Song of the Willows. If this doesn’t conjure up images of Lady Galadriel enjoying peace and quiet in Lothlorien, I’m not sure what will. It’s a stunningly melodic track perfect for relaxing. Have a listen to the record. It will be worth your while.